This easy-to-apply spray paint creates a tough, slate-like chalkboard surface on wood, metal, plastic, glass, or papier maché. It's fast drying, low gloss, durable, washable, and scrubbable. 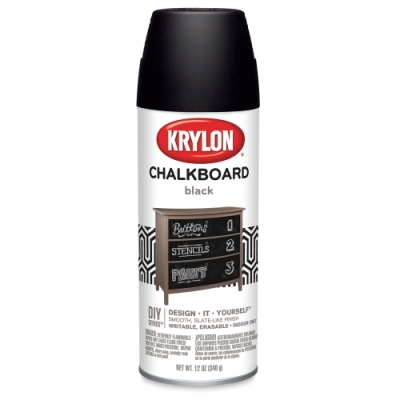 Krylon chalkboard paint has multiple applications.